I love looking at people's bookshelves and see what they've got. 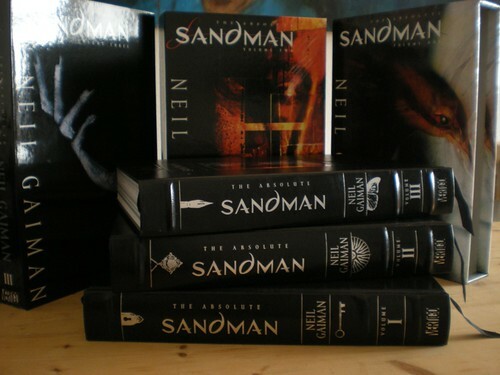 So today, I did a search for Absolute Sandman on Flickr. All pictures shown in this entry are from Flickr and will link back to their respective owners. 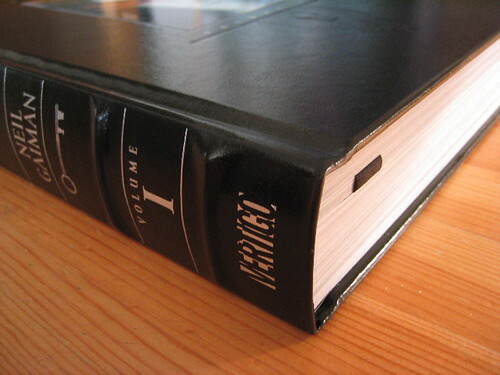 Absolute Sandman is actually a 4-volume hardcover compilation of all the Sandman issues. 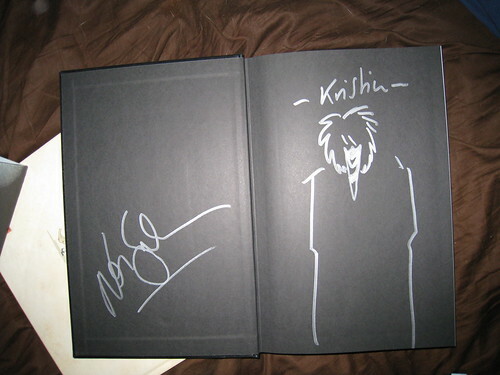 It comes with a slipcase. 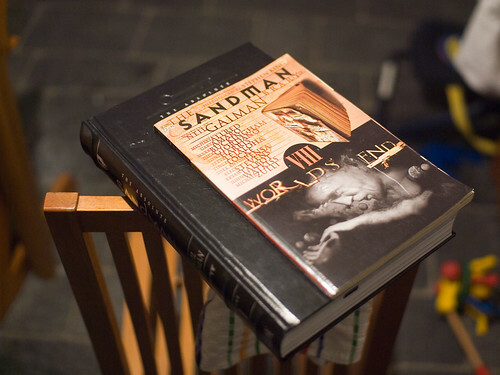 You can read more about Sandman and its history on Wikipedia. Notice how the Absolute editions have more colours added on. Oh, and notice the size difference too. Here are some Amazon links if you want to find out more on the books. The reviews are overwhelmingly positive. Thanks for putting together such beautiful and useful blog! 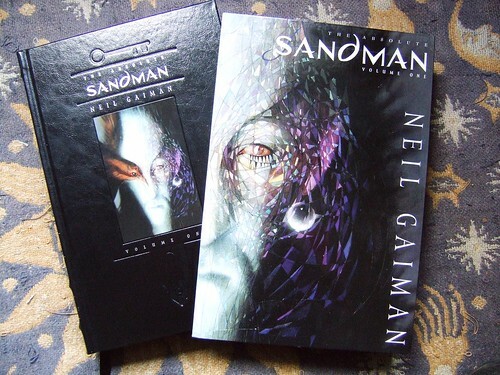 Gailman´s Sandman is a MUST. 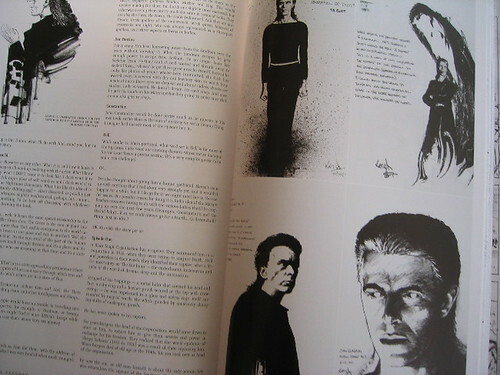 Try at least the first volume of this re-issue. I came across your blog recently and have enjoyed your reviews. 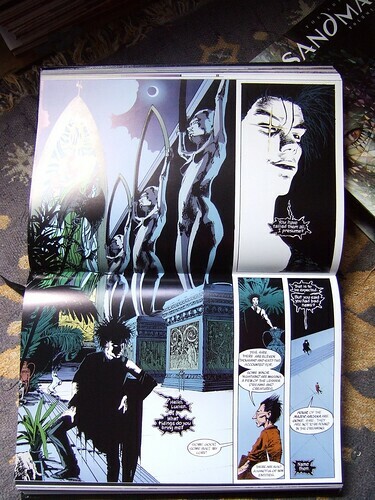 Sandman is a great series, fully worth reading, and Absolute Sandman is a work of art as a compilation, even apart from the original Sandman content. 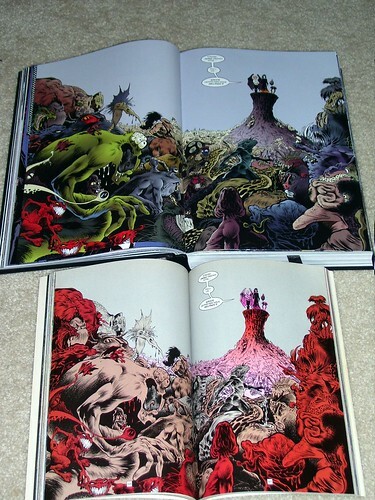 In volume 1, especially, the recoloring in the Absolute edition versus the earlier printings is astounding.